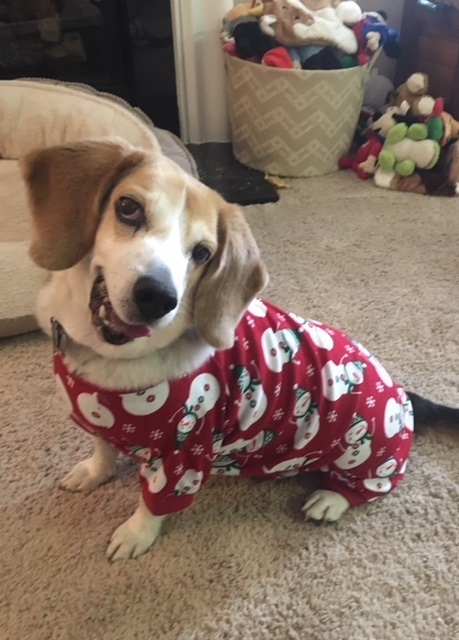 The stockings are hung, the tree is up, we’ve seen our first snowfall, and I’ve gone A LITTLE OVERBOARD with doggie Christmas outfits. That can only mean one thing: The howlidays are here!! Wait, did I just say howlidays? That must be because I just finished the puptastic 6th installment of Claire Cook’s Must Love Dogs series, A Howliday Tail, and I can’t stop wagging over it. 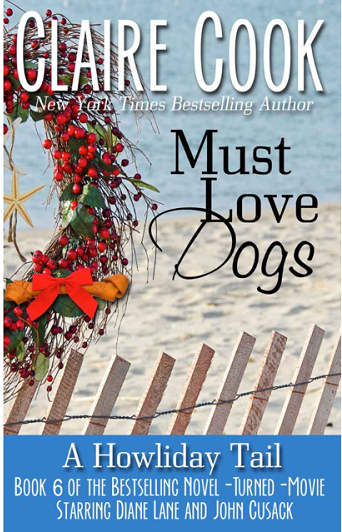 Must Love Dogs: A Howliday Tail reconnects us with preschool teacher Sarah Hurlihy and her boyfriend, John Anderson, who are knee deep in renovations on their new home—which also happens to be her old family home. Sarah soon discovers that along with the new-old home comes a revolving door of siblings who don’t knock and the responsibility of hosting the holidays when she’s never cooked a turkey before. Adding more chaos to the mix is her father’s desire to build the perfect man cavern, her brother Johnny (and his new-found hippie persona) crashing at her pad, and her pregnant houseguest/teacher’s assistant Polly, who has become unintentionally irresistible to the Hurlihy men. As Sarah tries to keep her head above the drywall and her relationship in one piece, she’s also got her hands full with John’s dog, their five new cats, and her role as chair of the preschool’s holiday show. (With all that on my plate, I’d be howling too.) A Howliday Tail is filled with everything we’ve come to know and love in Claire Cook’s books—humor, heart, and furry friends—and I’m already begging for the next installment. 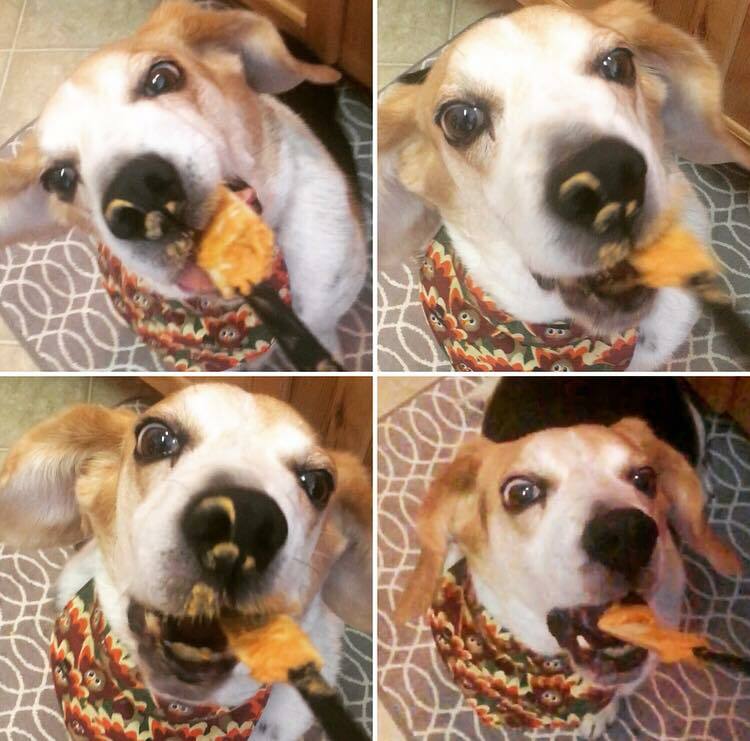 Every time I get my paws on a new Must Love Dogs book, I feel like my pup on the verge of getting a favorite treat. I jump, I squeal, and I promptly devour the whole thing. Claire Cook’s characters are like family at this point, and it feels so doggone good to be spending the holidays with them. Sarah, John, and the quirky Hurlihy gang are never shy on laughs, heart-warming moments, and those golden nuggets of truth that have you marking your favorite passages again and again. I will follow them anywhere they want to take me, whether it’s a Thanksgiving food fight or a man-bun-tervention in a canned ham trailer. They’re original, relatable, and constantly have me thinking, “You mean I’m not the only person who thinks about these things?” I love these characters, and I can’t wait to see what their next chapter has in store. Oh, and for you animal lovers? There’s even a new scruffy four-legged beachcomber guaranteed to steal your heart. 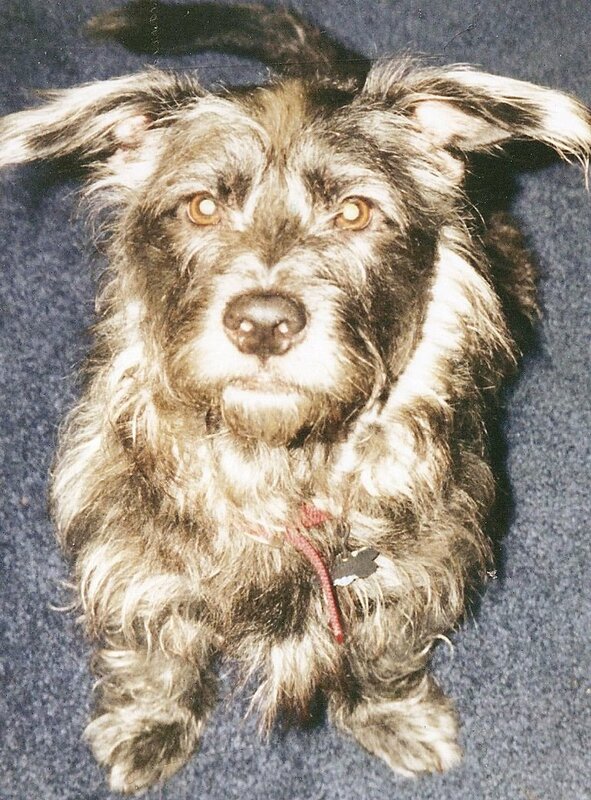 If you take a look at my dog from childhood, Waldo, you’ll know that I can’t resist a scruffy dog. Dog lovers, cat people, and fans of irresistibly great characters, get into the holiday spirit with A Howliday Tail. The novel does stand on its own, but I strongly recommend that you unleash the fun and read the whole series from the beginning. You won’t want to miss a minute of this tail-wagging adventure. For more on the always amazing Claire Cook, visit clairecook.com and connect with her on Facebook, Twitter and Instagram! Scoop up A Howliday Tail on Amazon, Barnes & Noble, or wherever you buy your books. And to all of our wonderful readers, Riggins and I would love to wish you and your families a very happy howliday indeed! Aargh on the puns but entertaining.